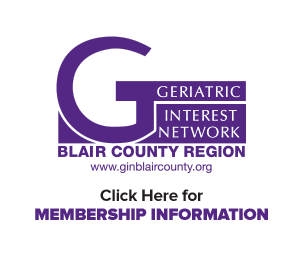 Why Join the Geriatric Interest Network? 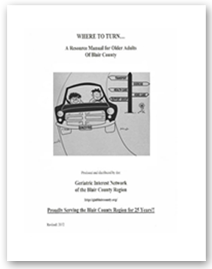 The projected population statistics of Blair County show that over 19% of the population is age 65 or older. The percentage of older adults in our county significantly exceeds that of Pennsylvania and the United States. These older adult consumers bring new issues and values to the marketplace—issues that will impact the delivery of all types of services and products to this group. The Geriatric Interest Network provides an opportunity for you to learn more about this important group while meeting others who serve older adults. Through this networking, you can remain informed about services available in the area, while promoting your own. Whether your interests are in healthcare, banking, retail, clergy support or the legal field, the Geriatric Interest Network has something for you! The Network Task Force manages Network operations. The General Membership provides support for the Network’s activities. YOU, our members, are the most critical component of the Network; without you, there would be no Network!